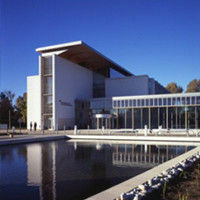 Three examples of energy efficient buildings equipped with the TermoDeck® System are listed below. 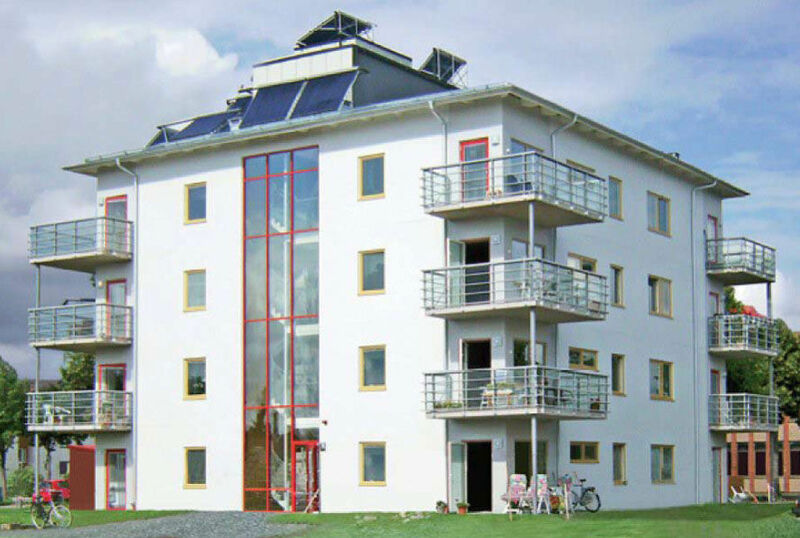 A four-storey residential building was designed to fulfill the Swedish standard for passive houses. 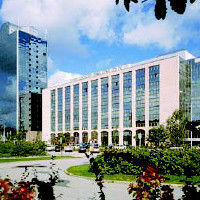 A report published in REHVAs journal (Jan 2012) shows that the total energy consumption is 33,1 kWh/m2, year. This low figure includes the total purchased electrical energy consumption (heating, hot water, property electricity and fans). The household electricty is not included. A commercial TermoDeck® building in Leeds was awarded a BREEAM rating of 87.5% which was the highest ever BREEAM rating at that time. According to calculations undertaken by King Shaw Associates, the building was estimated to produce 22kg of CO2 per m2 & year and emit 80% less carbon than a conventional model office building. This equates to a saving of 350 tonnes of CO2 a year. 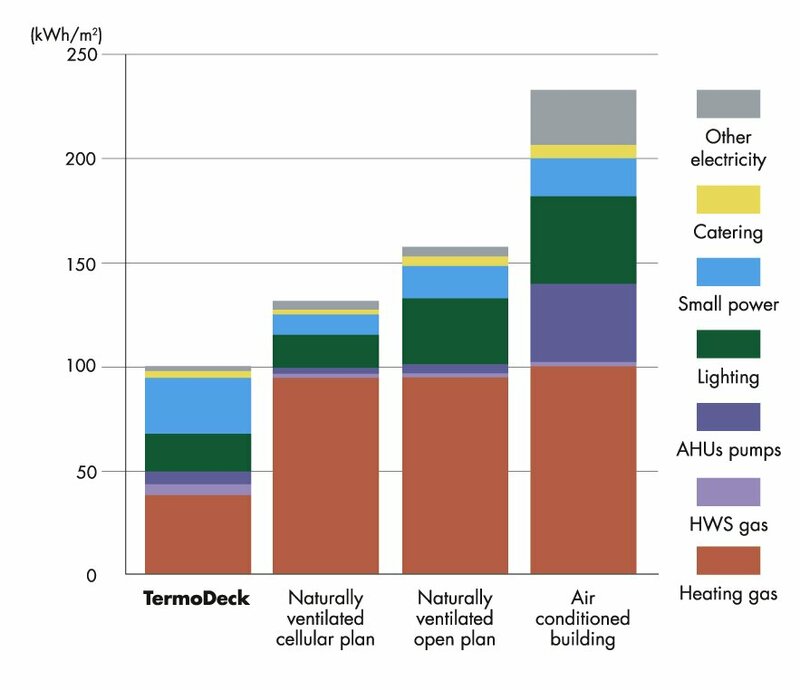 Our initial calculations showed a demand of 150kW of cooling", Doug King says, "but when you take into account the passive cooling using TermoDeck®, the cooling load can be reduced to 50 kW". 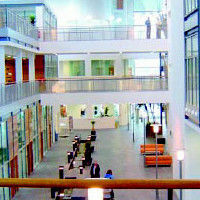 BREEAM is the world’s most widely used environmental assessment method for buildings. In the graph, (from the The New Practice Final Report 106) the energy consumption of the Elizabeth Fry building in United Kingdom (UK) is compared with mean values of typical good practice offices. 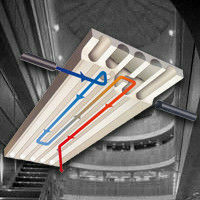 The energy consumption for TermoDeck® is less than 50% of the other offices.